Felix will start both of Sunday’s FIA Formula 3 European Championship races at the Hungaroring from the second row of the grid after going fourth fastest in a delayed qualifying session at the Hungarian venue on Saturday evening. The session began more than 30 minutes behind schedule after a crash in the preceding Maserati support race necessitated lengthy barrier repairs at Turn 10, but once action got underway, it did so in beautiful fashion as the 25 cars toured out onto the track against the backdrop of lovely late-day sunshine. 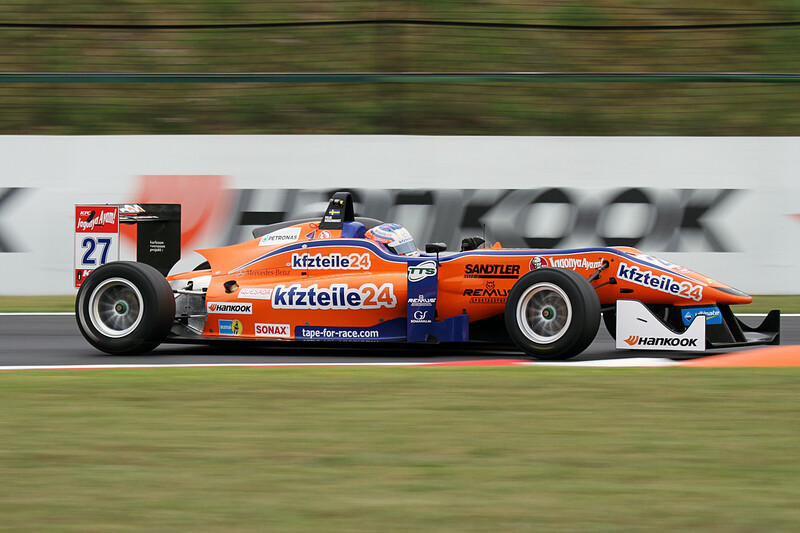 With the current F3 qualifying format requiring drivers to post two competitive lap times – with the outright effort counting for Race 2, and the second-fastest for Race 3 – the quality of the field once again became apparent as the leading runners managed to squeeze out two near-identical efforts to ensure the top five will look the same for both of tomorrow’s races. Felix will start behind pole-sitter Esteban Ocon, second-placed Antonio Fuoco (both Prema Powerteam) and Mücke Motorsport colleague Lucas Auer in both events, ending up 0.464s adrift of Ocon after losing two tenths due to recurring oversteer at the first corner. Sectors two and three, by contrast, were both very competitive with Felix mixing it with the Prema runners. Race 1 winner Tom Blomqvist will start from sixth and seventh respectively, ending up a tenth off Felix’s pace.